hello everyone! i hope you’re all enjoying this beautiful weekend! i’ve recently received a software update from apple and i just wanted to show you a few things to keep you informed about how your appointments are booked. 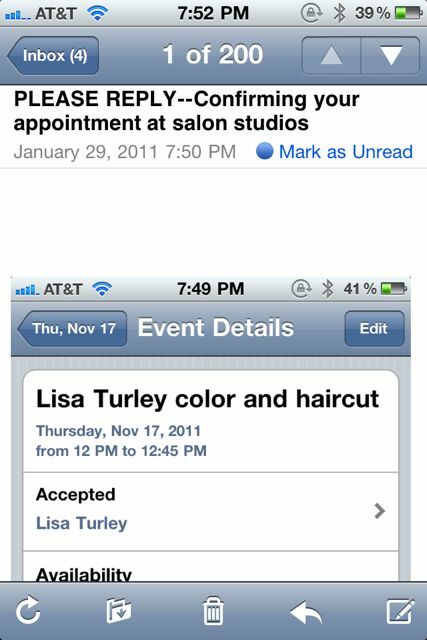 below is an example of an appointment i’ve booked for myself. if you receive chemical services… we only send you the First portion of your appointment in order to limit confusion about when your appointment begins. 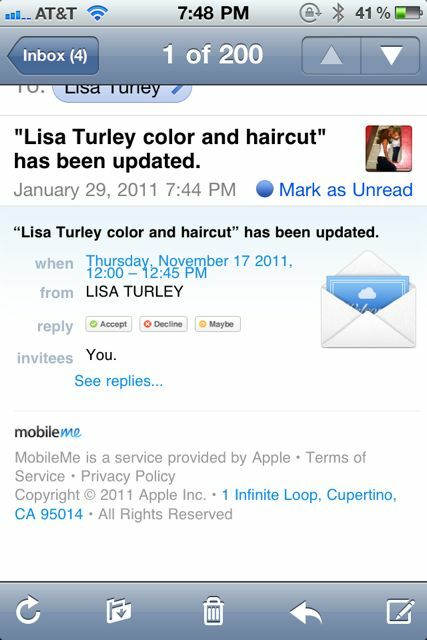 when we send you an appointment time it will look like this in your email. click accept. i am notified that you accept the event even though nothing cycles through your screen… or you can also reply to this email with other appointment times you would prefer. i hope this isn’t too complicated. i truly want to make things simple for you all. as always, thank you so much for your business.